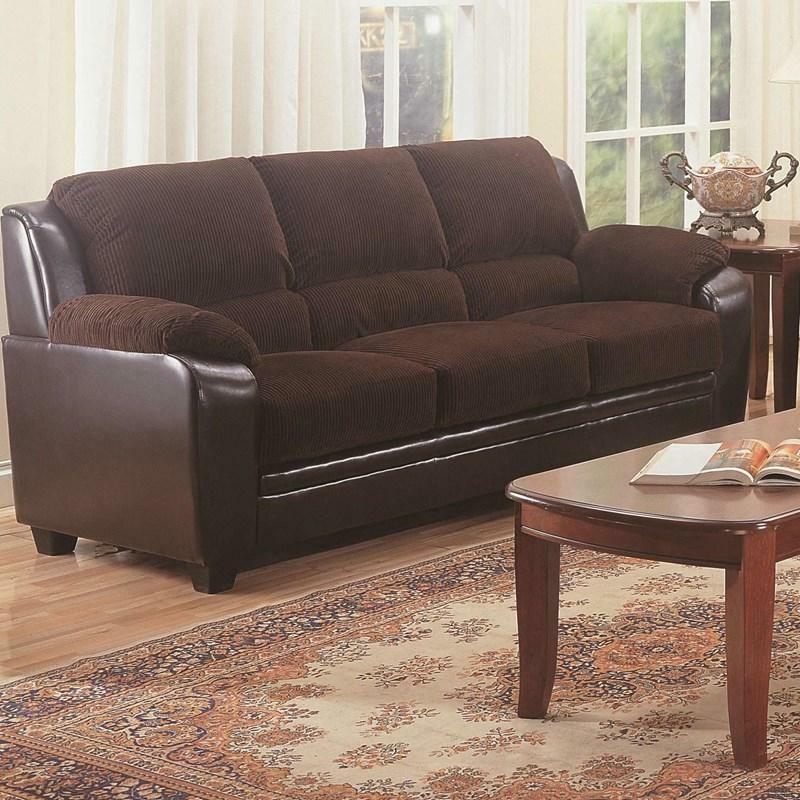 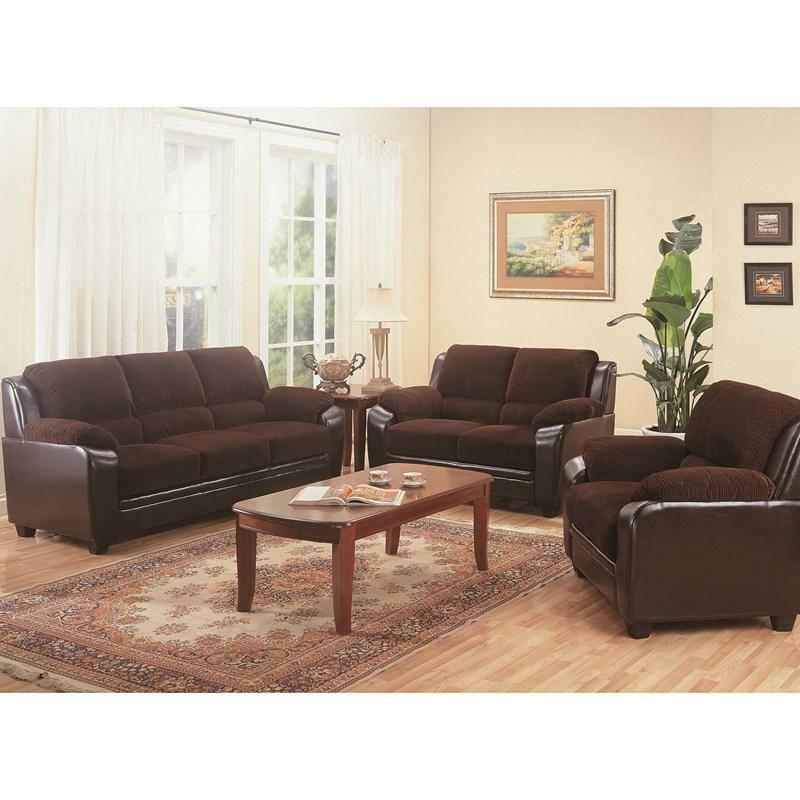 This Monika Loveseat by Coaster Furniture features a contemporary style with a high density foam in seat, back and arms made in a kiln dried hardwood frame to create a sturdy construction with attached back and seats that come in a chocolate corduroy fabric with a base in chocolate leatherette that will match any decor in your home. 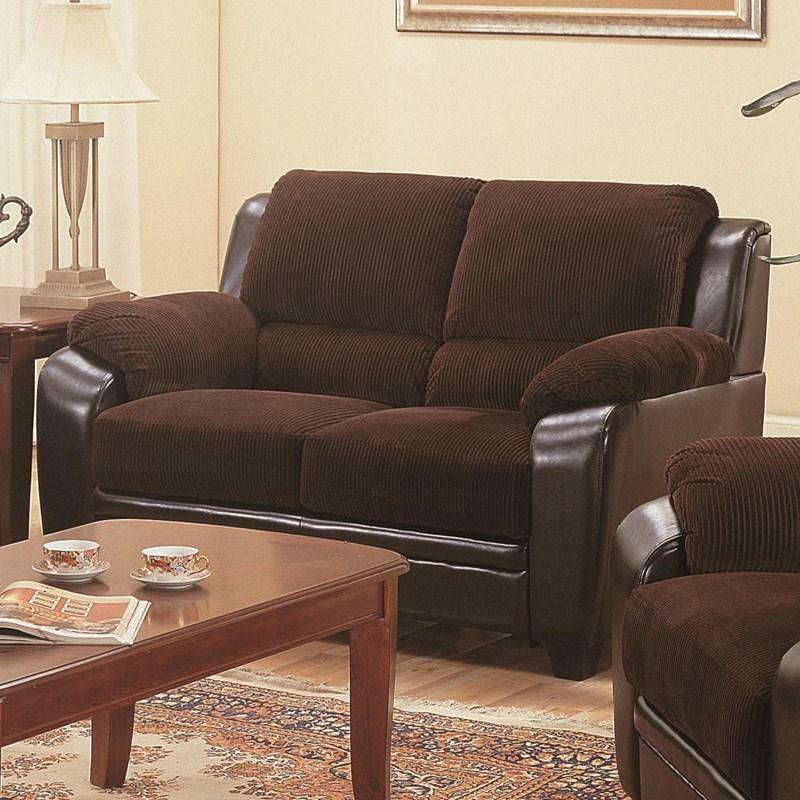 This beautiful glider reclining chair offers a comfortable seating. 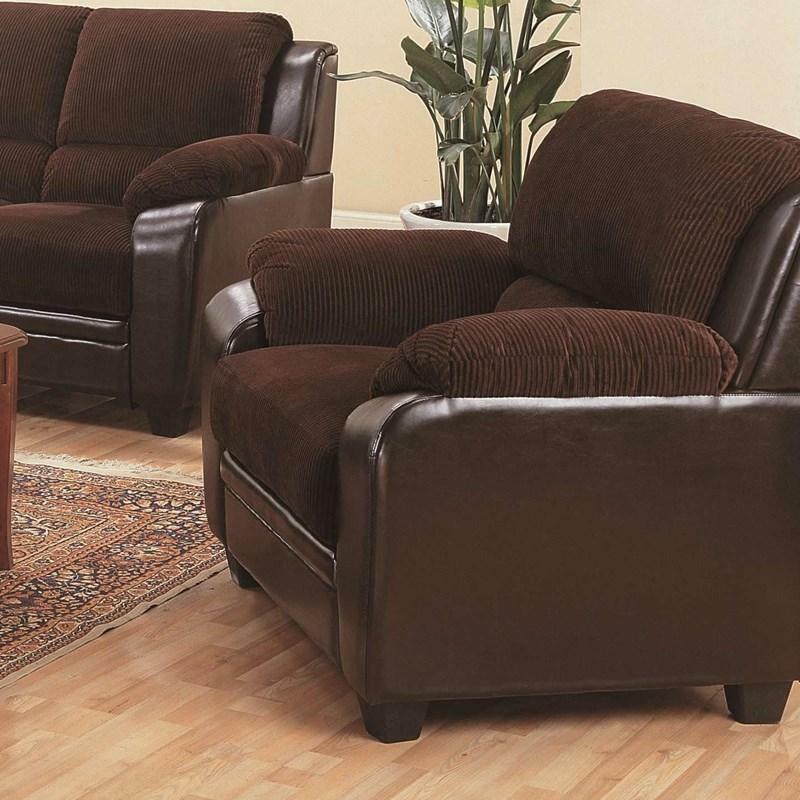 It features a padded sectioned back with defined headrest, a padded pillow top cushion, pillow arms, and a wooden base finished in chestnut. 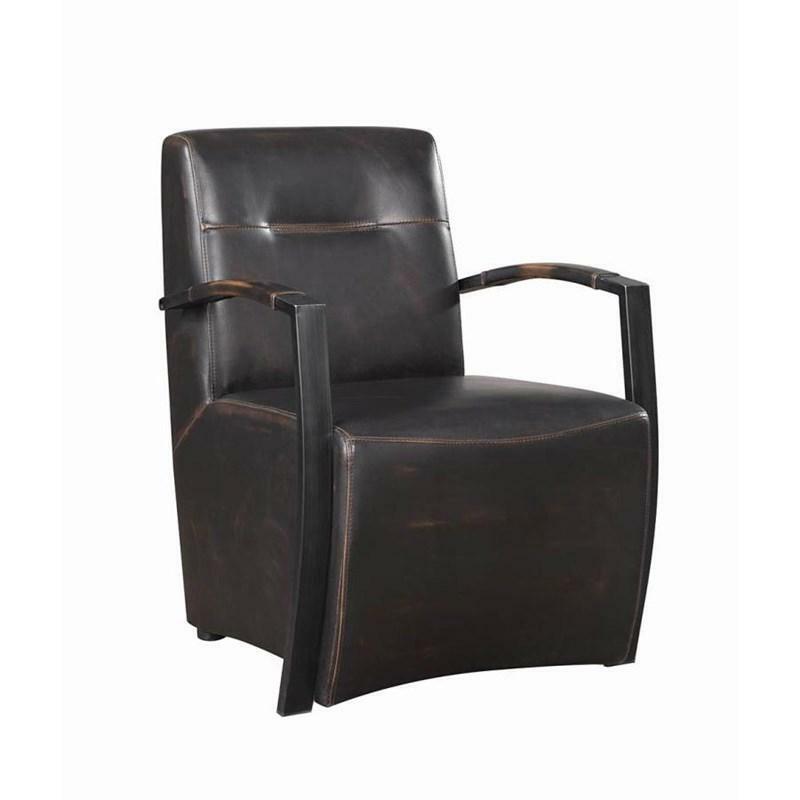 This industrial style Accent Chair comes upholstered in dark brown leather look PU upholstery. 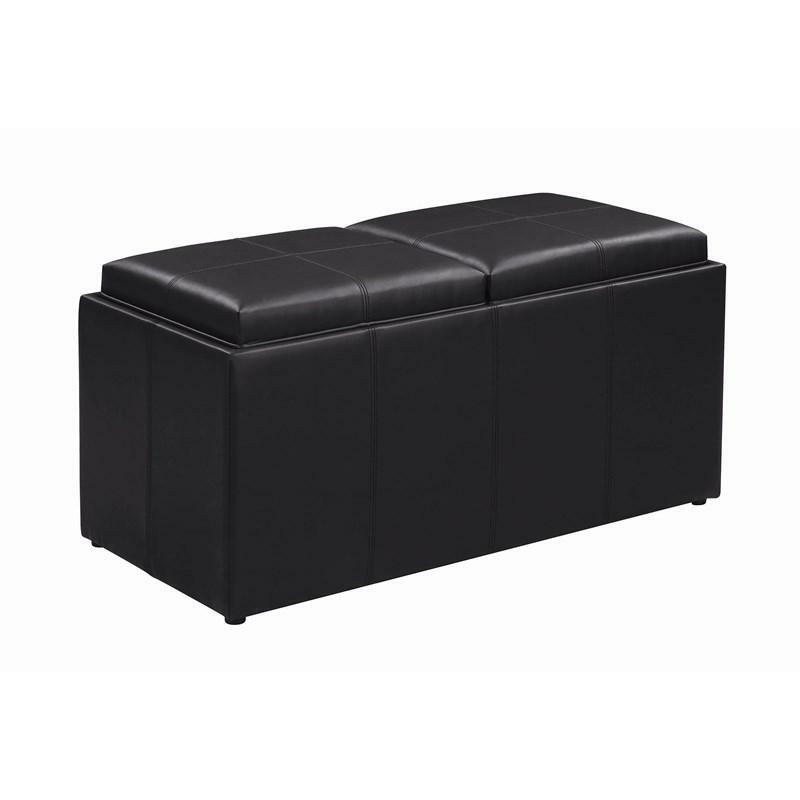 It features a padded back and seat cushions. 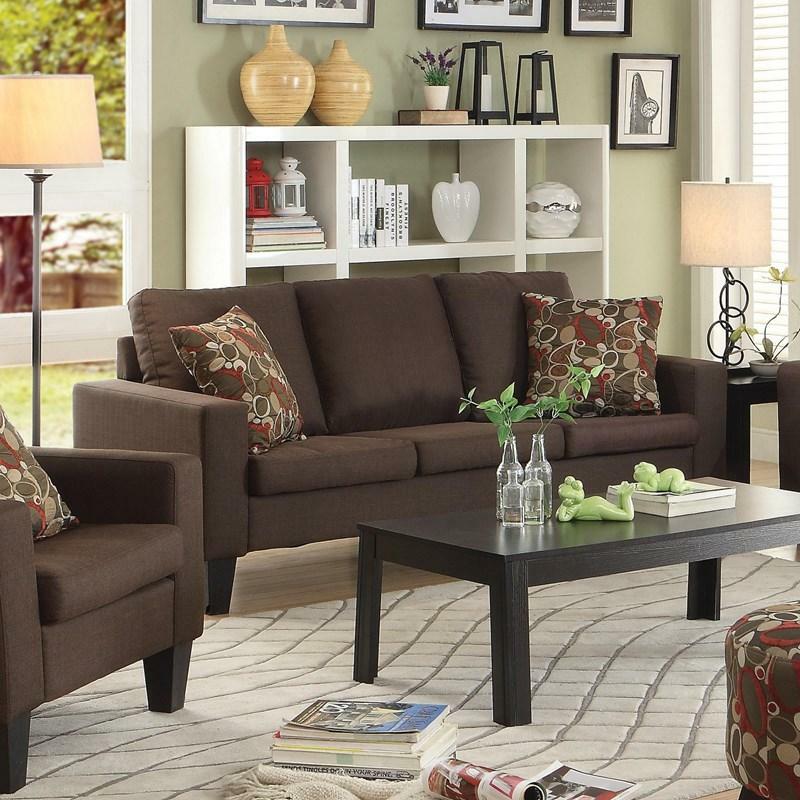 It has interesting curved arms with upholstered armrest. 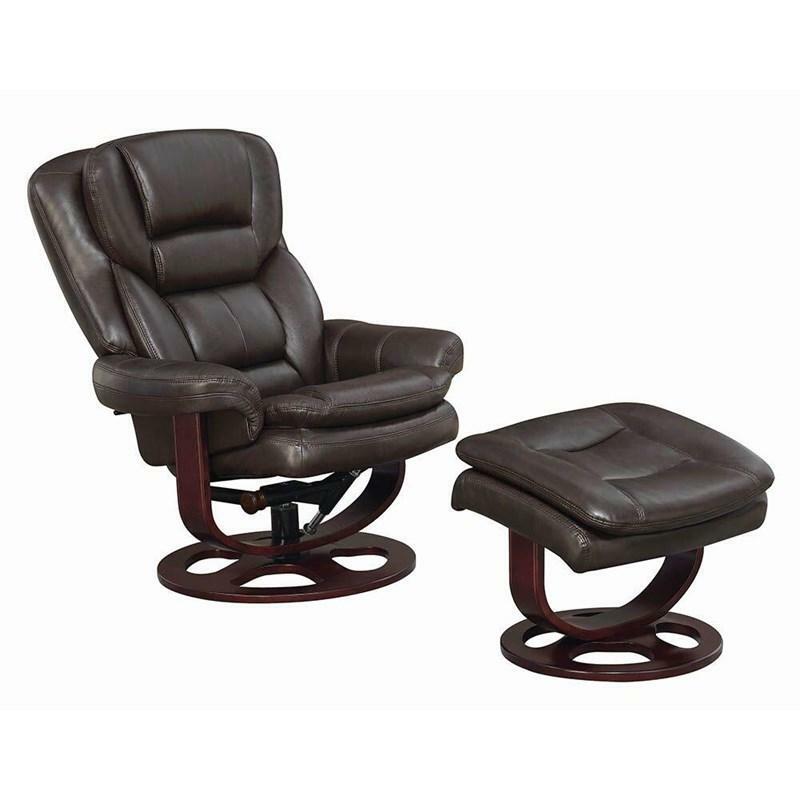 This Chair is one of a kind.